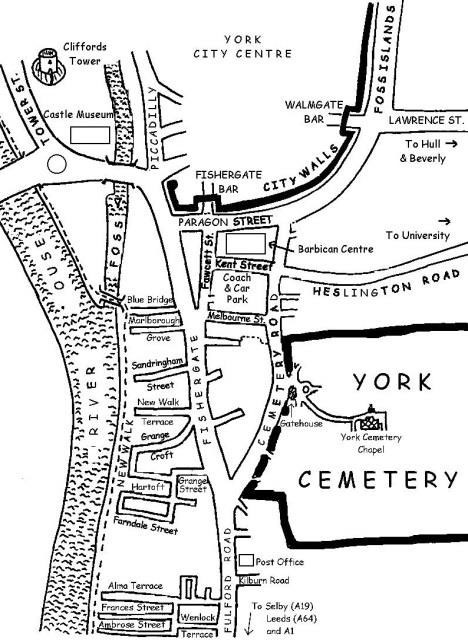 York cemetery is on Cemetery Road, near the city centre of York. Cemetery Road is off the A19. Download a printable location map and cemetery plan (PDF).